Let me begin by thanking the Almighty, Chukwu Okike, for establishing the Indigenous People of Biafra(IPOB) and the Biafran leader, Nnamdi Kanu, whose timely intervention has put a spanner in the vile imperialistic cog of the colonial British and their Fulani hegemonic caliphate - Nigeria. His setting up of Radio Biafra back in 2009 was timely. 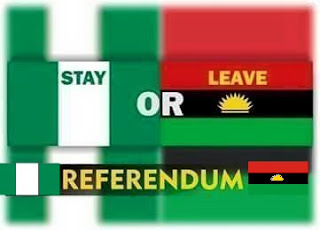 Had it not been, Biafra land may have been encircled before we even know what was coming. To only the discerning minds, the emergence of this present dictator in the saddle of the Nigerian state, Muhammadu Buhari, has only one agenda - Islamization. That is indisputable. Since the inception of this present administration on the 29th of May, 2015, Nigeria has gone from one calamity to the other. They campaigned with the mantra of stopping the menace of Boko Haram in 90 days. But all we have witnessed is continuous chaos and destruction.